New Forms of Customer Support in Banking – Firms are incorporating social media accounts into account management. TD Bank and Citibank now offer live customer service support via Facebook Messenger, joining Bank of America and USAA as firms providing a modern and comprehensive online banking experience. Citibank also added a new Virtual Assistant on the private site. Eight New Tool Launches – Firms introduced tools across the board. Raymond James added a Document Vault Tool to let clients view and share account documents with their financial advisors, support staff and authorized individuals. Scottrade added a Watch Lists Tool to monitor potential stock investments using customizable criteria, while Fidelity added an ETF Research Dashboard that lets clients trade ETFs and conduct research from a single location. Wells Fargo updated its Transfer center to include a microsite facilitating domestic and international wire transfers. Allianz launched an Index Advantage Variable Annuity Calculator on the advisor site; Lincoln unveiled a tablet-friendly online order entry tool. American Funds introduced a Target Date ProView tool, while Allstate introduced a new GoodHome tool. Firms Make Mobile Changes – Wells Fargo announced a new Wells Fargo Wallet to integrate into the firm’s current mobile app for Android. American Express implemented 3D Touch functionality for iPhone 6S users when accessing app shortcuts. Merrill Edge/Lynch, Chase added fingerprint authentication for their Android app login, while Merrill Edge/Lynch and Scottrade also added Touch ID to their iOS apps. TIAA added support for Apple Watch and Android Wear to view portfolio total and account balances. Capital One and Discover added the ability to request credit line increases from the mobile iPhone and Android, and Android apps, respectively. At the beginning of May, Corporate Insight introduced Discover Bank to the Bank Monitor coverage group. Discover is a direct bank with competitive interest rates for deposit products. Our update provides a review of the modern and comprehensive online experience. The firm introduced the new card which features a 0% introductory APR and an $85 annual fee. The card also offers an earning rate of two miles per dollar spent on purchases. 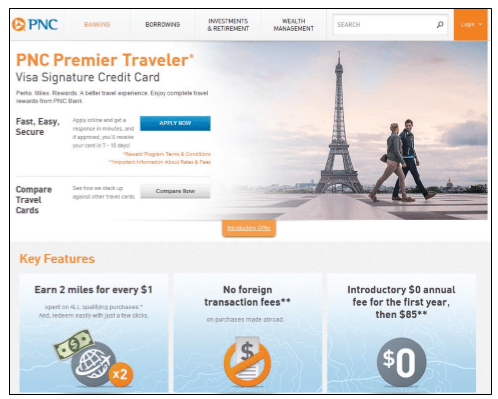 The welcome offer is a 30,000 mile initial spend bonus and the card carries no foreign transaction fees. UBS Wealth Management formed a partnership with SigFig, an automated investment advisory firm. The partnership will lead to custom digital tools and services for UBS advisors. The firms plan to create an Advisor Technology Research and Innovation Lab.